May 2018 - Sonbuilt Custom Homes Ltd.
We all want our homes to be as safe as can be for our family. There is a danger that we are just becoming aware of that most people probably haven’t ever heard of in the form of Radon gas. Radon gas is an odourless, tasteless, invisible radioactive gas produced from the breakdown of uranium in soils. Why is Radon Gas so Dangerous? Radon gas is airborne and can be inhaled. While in your lungs, these particles breakdown even further, releasing small bursts of radioactive energy causing damage. As a result, there is an increased risk of developing lung cancer when they reproduce. Health Canada estimates that about 16% of lung cancers deaths in Canada are attributable to radon. It’s the second leading cause of lung cancer and the leading environmental cause of cancer. How Can Radon Gas Get Into My Home? Radon can get into your home anywhere it finds an opening where your home contacts soil. For example, cracks in foundation walls and floor slabs, construction joints, gaps around service pipes and support posts, floor drains and sumps, and water supply. To find out if your home has a radon problem you have to measure the radon concentration inside of it. There are radon professionals in the Greater Vancouver area like Radon Environmental who can work with you to test your home. They provide radon mitigation solutions for residential homes and workplaces. As a builder, we use radon mitigation products in the construction of your home to decrease the amount of radon gas capable of seeping into the home. By doing so, we ensure your new home is safe and free from harmful levels of radon gas. 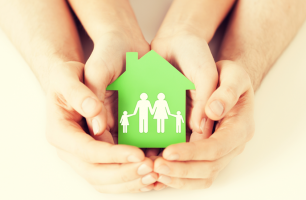 Health and safety is one of our top priorities, which is why radon mitigation is an important aspect to every one of our new homes. We urge you to look into what you can do to keep your family safe.